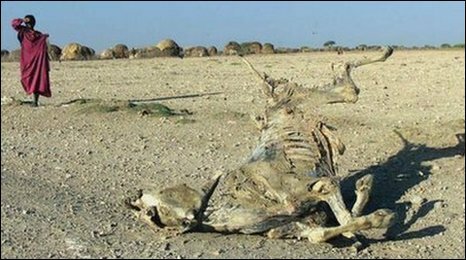 Large sums promised to developing countries to help them tackle climate change cannot be accounted for, a BBC investigation has found. Rich countries pledged $410m (£247m) a year in a 2001 declaration - but it is now unclear whether the money was paid. UN Secretary General Ban Ki-moon has accused industrialised countries of failing to keep their promise. The EU says the money was paid out in bilateral deals, but admits it cannot provide data to prove it. The money was pledged in the 2001 Bonn Declaration, signed by 20 industrialised nations - the 15 countries that then made up the European Union, plus Canada, Iceland, New Zealand, Norway and Switzerland. They said they would pay $410m per year until 2008. The date the payments were meant to start is unclear, but the total should be between $1.6bn and $2.87bn. The declaration said: "We are prepared to contribute $410m, which is 450 million euro, per year by 2005 with this level to be reviewed in 2008." But only $260m has ever been paid into two UN funds earmarked for the purpose, the BBC World Service investigation has found. "There have been promises which have not been fully materialised. There is an issue of trust," says Ban Ki-moon. The question of finance for developing countries to tackle climate change is one of the keys to a deal at the Copenhagen summit next month. Poor countries may not sign up to a new agreement unless they trust rich countries to keep their promises, and are satisfied with the mechanisms put in place to handle the flow of funds. The industrialised governments which drew up the Bonn Declaration say they never intended to put the money just into the UN funds. Liberia on Africa's west coast is in desperate need of help. The rising sea level and longer rainy season are eroding the coastline and causing flooding. Homes have been swept away and lives lost. Amma Ennim's home was damaged for the first time last year. "We were asleep. The storm was blowing. The sea was rough. I could feel the shaking of the house. The whole roof lifted off. The water forced its way in. [It] took half of the house." The sea now regularly enters her home. 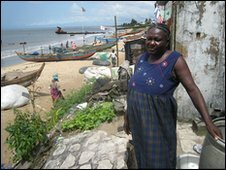 The Liberian government is appealing to the international community for help building sea defences for its major cities. The Declaration allowed them to spend it in "bilateral and multilateral" ways, they say. Artur Runge-Metzger, the senior climate change negotiator for the European Union, maintains the EU has lived up to its end of the bargain. "We can say we met the promise, climate finance has really been stepped up," he argues. However he admits the EU cannot provide data to show it did pay the money through these bilateral and multilateral means. "It's sometimes very hard to say what is the climate bit of this financing," he says. Richard Myungi, a climate change negotiator for the Least Developing Countries says: "We feel frustrated, we feel betrayed." Boni Biagini, who runs the UN funds, also believes much more money should have been paid in. "These numbers don't match the $410m per year. Otherwise, we'd be handling billions of dollars by now," he says. Dr Marc Pallemaerts, who drafted the Bonn Declaration in 2001 when he was the deputy chief of staff for the European Union's Belgian Presidency, admits some developing countries may have been led to believe the promised money would go solely into the UN funds. "Some countries may have been genuinely misled - others knew it was deliberate ambiguity," he maintains. The Bonn Declaration is surrounded by confusion and has led to mistrust between developed and developing countries. UN Secretary General Ban Ki-moon says any new financing agreement signed at Copenhagen must be clear. "This whole agreement and negotiation should be based on trust and confidence," he says. He adds that any new financing deal must be "measurable, reportable and verifiable". Should rich countries agree a new deal to help developing nations? What kind of deal would you strike at Copenhagen? Are you in a developing country? Send us your comments.